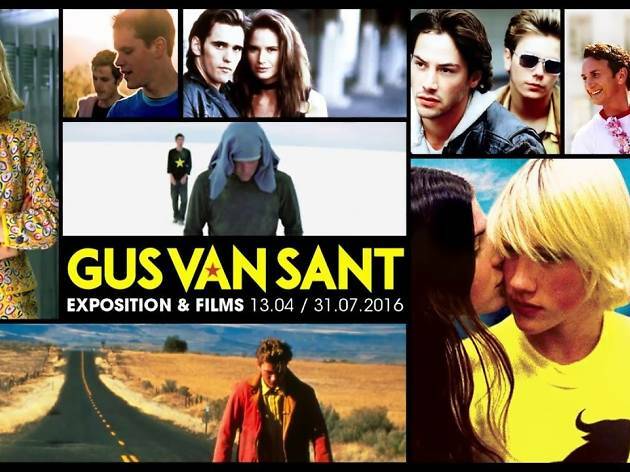 A giant retrospective of American indie director Gus Van Sant’s films, music and visual art. Gus Van Sant, the demi-god of ’90s and ’00s American indie cinema best known for his films ‘Good Will Hunting’ (1997), ‘Elephant’ (2003) and ‘Milk’ (2008), gets a well-deserved retrospective at France’s national cinema hub the Cinémathèque Française. Hot on the successful heels of their autumn Martin Scorsese show, from April 13-July 31 2016, the venue will present behind-the-scenes insights into Van Sant’s prolific, three-decade film career, one that’s helped introduce us to stars like Ben Affleck, River Phoenix and Matt Damon. A good chunk of the Cinémathèque show is also dedicated to a selection of the polymath director’s lesser-known photographs and paintings, never before exposed in France, along with his artistic collaborations with William S. Burroughs and David Bowie and some of his musical works. For more information and tickets, click here.